Dec. 12, 2018, 7:49 p.m. Traded in our hard hats and steel toes for the annual AICHE gala. Two Chester female engineers attended the gala in NYC. This year's theme was Inspiring and Empowering Women in Engineering! 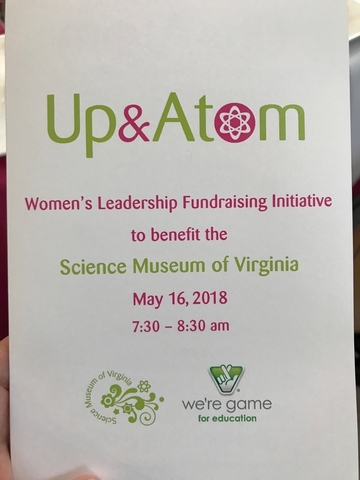 May 16, 2018, 1:39 p.m.
Fun and educational breakfast series at the Science Museum of Virginia supporting young girls entering STEM careers.